Subtitle: Turkey is said to be preparing to launch a coordinated attack with Iran, in northern Kurdistan. If this war gets underway, and if Turkey and Iran are allies, the prophetic fulfillment of Ezekiel 38-39 will undoubtedly be enhanced, because both nations are prophesied to march with Russia at the End of the Age against Israel. If this information is correct, two of the countries prophesied to march against Israel in the Russian-led invasion foretold in Ezekiel 38-39 are about to combine forces to invade northern Iraq in order to forestall the full establishment of a Kurdish state, and to put an end to across-the-border guerilla raids carried out by Kurdish forces. This is the kind of story which should make every Bible-believing Fundamental Christian sit up and take notice. 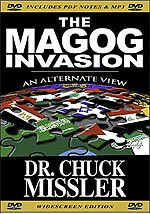 For sure, "all the players are in position, the stage is set" for the fulfillment of the prophesy of Ezekiel 38-39, just as our new video, "The Magog Invasion" states. Let us begin our story by examining the facts. Then, we shall examine the possible prophetic consequences. "A new Middle East war is in the offing ... Turkish and Iranian air units as well as armored, paratroop, special operations and artillery forces are poised for an imminent coordinated invasion of the northern Iraqi autonomous province of Kurdistan. Our sources pinpoint the target of the combined Iranian-Turkish offensive as the Quandil Mountains, where some 5,000 Kurdish rebels from Turkey and Iran, members of the PKK and PJAK respectively, are holed up. Iranian and Turkish assault troops are already deployed 7-8 km deep inside Iraqi territory." Since this above map does not show the Quandil (Qandil is alternate spelling) Mountains, let us digress for just a moment to another article to see exactly where this mountain range is located. You will see confirmation of the information in the DEBKAfile article, above. "Turkey and Iran have dispatched tanks, artillery and thousands of troops to their frontiers with Iraq during the past few weeks in what appears to be a coordinated effort to disrupt the activities of Kurdish rebel bases ... Some displaced families have pitched tents in the valleys behind Qandil Mountain, which straddles Iraq's rugged borders with Turkey and Iran." "Iranian and Turkish assault troops are already deployed 7-8 km deep inside Iraqi territory." In other words, the invasion has actually begun, as Turkish and Iranian forces have already violated Iraq's sovereignty. Now, let us return to the DEBKAfile story for more pertinent information. Please locate the Iraqi city of Kirkuk on this map. "Turkey to the northwest and Iran to the east both have Kurdish minorities which have been radicalized by the emergence of Iraqi Kurdistan in the last three years. The three contiguous Kurdish regions form a strategic world hub." As we noted in NEWS2150, the Kurds have seemingly succeeded in carving out their own nation in northern Iraq. The last development which either Iran or Turkey wants to see is the actual development of a Kurdish nation, for that would mean that the Kurds would be able to accumulate all the resources which a nation commands, i.e., strong national army, strong national currency, and a strong Treasury. Given the reality of the oil-rich lands surrounding Kirkuk, this new Kurdish nation would be able to build all three of these components, probably rather rapidly. "They cannot win back Turkey by just clipping the wings of Southern Kurds and preventing Kirkuk to be in Kurds control, because Turks have more ambitions, such as uniting all Turks from Edirne to all other Turkic republics such as Kazakhstan, Uzbekistan, Turkmenistan, Azerbaijan and recover all Arab and Greek lands, islands lost during the First World War I ... No matter what these analysts do or suggest, America cannot win back Turkey as trusted ally. On the other hand, the relationship between America and Turkey will worsen as stability and prosperity will take hold in Iraq particularly in Southern Kurdistan." Therefore, this region has a real problem, one that could ignite the entire region into all-out war. At the very time the Kurds have successfully carved out a fledgling nation in northern Iraq, an achievement which is sparking Kurdish dreams of a real state carved out of portions of Iran and Turkey, the current government of Turkey is having visions of restoring the lands she lost at the collapse of the Ottomon Empire. (At this point, we encourage you to review this animated map showing the various nations which have controlled the Middle East in the past 3,450 years -- "Maps of War". Let us now examine some more of the DEBKAfile article, so we can see the potential disaster which this combined Turkish/Iranian thrust might bring to the Region and to the World. "A jittery Washington foresees a Kurdish-Iranian military thrust quickly flaring into a comprehensive conflict and igniting flames that would envelop the whole of Iraqi Kurdistan as well as southern Turkey and Armenia. Tehran is quite capable of using the opening for its expeditionary force to grab extensive parts of Kurdistan and strike a strategic foothold in northern Iraq. Informed US officials would not be surprised if Turkey took the chance of seizing northern Iraqi oil fields centered on the oil-rich town of Kirkuk, the source of 40 percent of Iraq’s oil output." This paragraph literally foresees that virtually the entire Kurdish territory pictured in that map of NEWS2150 would explode in the flames of all-out war. Could this war expand outward to involve the entire Middle East? Such a conflagration would probably require that superpowers intervene in the fighting -- United States, Russia, Israel. Could this happen? Let us read on in the DEBKAfile story. "The threat was implicit and impatient. Washington was given to infer that Ankara is on the point of deciding whether or not to capture Kirkuk, a step that would undermine a pivotal political and economic base of the Baghdad government and harm US interests in Iraq." The new government of Iraq might not survive if it lost 40% of its oil revenues, plus the total American war effort in Iraq would be gravely imperiled by the loss of the entire area of northern Iraq, plus the cities of Mosul and Kirkuk and the oil fields. The only question left to answer is to how to respond. With American ground forces in Iraq already insufficient, and with them tied down in fighting the Iraqi Insurgency, it is doubtful that we could respond with ground forces. We might be able to respond with the air component of our naval forces, and that may be the reason the American aircraft carrier Eisenhower is about to set sail for the Middle East (Read "War Signals? ", Middle East Online, 9-24-2006). "Israel is concerned lest military action against Turkish PKK rebels uproot its military and economic presence in Iraqi Kurdistan. DEBKAfile’s military sources report that since 2004 Israeli military instructors and intelligence officers have been helping the Kurds build up their peshmerga army and anti-terrorist forces. Iran and Turkey are convinced that Israel also maintains in north Iraq Kurdistan observation and early warning posts to forewarn the Jewish state of a coming Iranian attack. If this is so, the two invaders will make a point of destroying such posts. Israel would then forfeit a key intelligence facility against the Islamic Republic." Therefore, Israel's ability to attack any Iranian nuclear installations could be seriously jeopardized by this impending war! The intelligence loss on the ground to Israel might be so enormous that an attack on Iranian nuclear facilities might be thwarted. By the time you add this next complication, you might conclude that this invasion might make an Israeli attack on Iran nearly impossible. "... refueling stops at the Irbil (Hawler) airport in Kurdistan would help the Israel air force overcome the problem of distance to an air strike against Iran." Should this invasion shut down these airports to refuel Israeli planes, the Israeli Air Force might not be able to reach Iranian targets. C) If Iran requested Russian intervention. Since Russia revived the Strategic Defense Treaty which the old Soviet Union had signed with Iran, Russia could be called into the fray on Iran's side if an American and/or Israeli response was deemed threatening to the Iranian regime. Russia has many military advisers in Iran, and if they begin to take significant casualties from American or Israeli forces, Russia might be forced into the conflict. D) If Iranian nuclear facilities are hit as part of a Western response to this war, Russian nuclear technicians would likely die, further pulling Russia into the conflict. The Bush Administration has evidently lost Turkey as a valuable ally. The process toward this point has been underway ever since the people of Turkey overwhelmingly elected a hardline Prime Minister in November, 2002 (NEWS1733). Do you remember the months leading up to the Coalition Forces' invasion of Iraq? Turkey promised to invade northern Iraq with up to 100,000 Turkish troops. Washington was so convinced that Turkey was going to move these forces into Iraq that American naval units landed supplies and materiel in Turkey. However, the Turkish government waffled on making the final commitment to actually send these troops supporting Bush's war against Saddam. Finally, with enormous sums of American equipment sitting in Turkish ports, Ankara told Washington that she had changed her mind; no Turkish troops would be supporting the American invasion. The U.S. Navy had to pick up all that equipment and materiel! However, Turkey's hardening attitude against America was recently aggravated greatly, probably crossing that line of no return. Listen to the seemingly incredible incompetence of the American government! Can you imagine this turn of events? 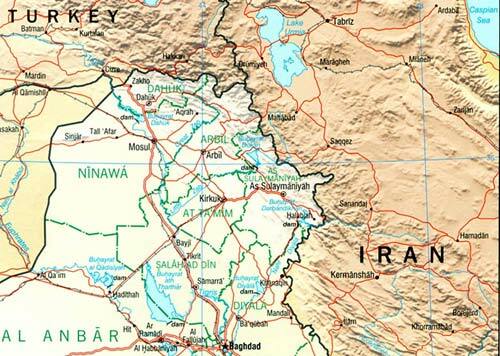 The Bush Administration allowed a "semi-official American military publication" to print a map showing a new country called "Kurdistan", which not only included the Kurdish areas of northern Iraq (as we reported had taken shape in NEWS2150), but also included Turkish and Armenian parcels of territory! Of course, Turk officials would take this new map as proof positive that the Bush Administration planned on creating just such a "Kurdistan", even though its creation meant that both Turkey and Armenia had to give up a part of their sovereign territory! And, Iran has to be thinking that, just perhaps, Washington might call upon her to give up some of her land on which the Kurdish people are now residing. Therefore, we have all the elements of a regional war on our hands. How soon might this war unfold? Remember the DEBKAfile report that elite elements of both the Turkish and Iranian military were on the ground inside Iraq right now (7-8 km inside). This "fact on the ground" indicates that the war could begin sooner rather than later. If Turkey feels that "the ground is burning under their feet", they are likely to launch this war very soon. And, once Turkish units are on the move, Iran will attack from her side. At this point, the entire region of Turkey, Iran and northern Iraq could immediately go up in flames. The Iranian plan to "Ignite Many Fires" will have moved into a new phase. Do you remember that March, 2003, Iranian plan by which they hoped to defeat the American invasion of Iraq? We posted it on March 21, 2003, just as Coalition Forces were crossing the Iraqi border from the south. Obviously, the Iranian plan is working to perfection! * Iraq -- The war in Iraq has thoroughly bogged down an American force which was insufficient to begin with. Today, were American ground forces called upon to move north to engage Iranian and/or Turkish forces, that force would be without its M1A Main Battle Tanks, because they were pulled out of the theater and replaced with the inadequate Stryker armored vehicle. Even when you add the naval firepower of the Eisenhower Carrier Group, it is doubtful that the American force could match the collective firepower of the Iranian/Turkish invading force, plus contend with the Insurgency within Iraq. In fact, I would not be surprised if the Iraqi Insurgency launches the Iraq War equivalent to the Vietnam War Tet Offensive on the eve of the invasion of the north. Such a nationwide attack would certainly pin the existing forces down within the country and would likely prevent them from moving north. * Afghanistan -- This war is so resurgent as to boggle the mind. Not only has the Taliban recaptured some of the country, but they have succeeded in thwarting the efforts of the NATO military force which has largely taken over the war from the Americans. If you go back a few days in Daily News Updates, you will realize how uncomfortably close Western forces are to being fought to a stalemate in that remote country. * Israel -- The new Iranian President has publicly called for Israel to be "wiped from the map", making it quite clear as to where he stands regarding that tiny nation. And, we have noted, above, this offensive would probably deny Israel some precious assets in Kurdistan which she had been depending upon if she ever launched an attack on Iranian nuclear facilities. * Azerbaijan -- This tiny country is not exactly within the area of the seemingly impending invasion. However, Azerbaijan is located north of Iran, bordered on the East by the Caspian Sea and on the West by Armenia. The news articles we quoted, above, notes that the Kurds have plans to seize part of Armenia to form their greater Kurdistan. Azerbaijan is certainly within the general region. Therefore, in March, 2003, the Iranians might have been stipulating this general region as a place where they would "light many fires" in order to defeat the American invasion of Iraq. This probability seems very high, and you have to give Iran's leaders a great deal of credit, for they knew the region and the people and the politics better than the Americans, and have used this "Home Court Advantage" mightily. In fact, the only trick seems to have been how to accomplish this entire strategic plan without triggering a massive response by the Americans or the Israelis. It is better to nip at the body of the enemy until you reach his vital organs than to try to land a deadly blow, which might be parried and returned. After foretelling that the nation of Russia would lead a Latter Days invasion of Israel, God then foretells the nations who will march with Russia. "Persia, Cush, and Put or Libya with them, all of them with shield and helmet, Gomer and all his hordes, the house of Togarmah in the uttermost parts of the north and all his hordes--many people are with you." Scholars agree that "Persia" is modern-day Iran. Therefore, this possible invasion of Kurdistan involves one of the nations foretold in this Ezekiel prophecy. We have stated time and time again that we believe Iran is protected from either national destruction or "regime change" by either America or Israel by this prophecy. Obviously, if Iran (Persia) is going to march with Russia in this invasion, her government needs to be the hardline anti-West, anti-Israel government it currently is; and just as obviously, Iran at this foretold time has to possess an army worthy to be on the same battlefield with the Russian. But, how about Turkey? Some modern Bible scholars believe that the "House of Togarmah" is modern day Turkey, rather than Armenia as tradition holds. Let us examine that possibility. 'You ask us also in your epistle: 'Of what people, of what family, and of what tribe are you?' Know that we are descended from Japhet, through his son Togarmah. I have found in the genealogical books of my ancestors that Togarmah had ten sons. These are their names: the eldest was Ujur, the second Tauris, the third Avar, the fourth Uauz, the fifth Bizal, the sixth Tarna, the seventh Khazar, the eighth Janur, the ninth Bulgar, the tenth Sawir." (These are the mythical founders of tribes that once lived in the neighborhood of the Black and Caspian Seas)." Obviously, the most important "Turkic-speaking" country in the world today is Turkey. 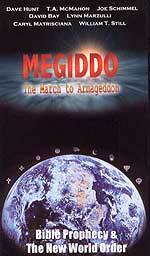 Just as the "Magog Invasion DVD" states: "all the players are now in position". Turkey has just swung against the West after generations of pro-Western leadership. 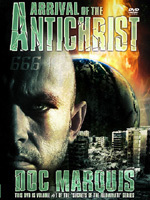 Iran has just swung to a Messianic hardline government which is hellbent on opposing the West, all the while depending upon Russian support and defense to ensure that she does not get annihilated by American military power. Iran -- Turkey -- Russia: Three key elements of this Ezekiel 38-39 prophecy. Watch your Daily News! 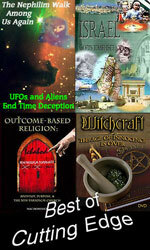 Things could get very interesting as the world continues its march toward the final events of the End of the Age. Are you spiritually ready? Is your family? Are you adequately protecting your loved ones? This is the reason for this ministry, to enable you to first understand the peril facing you, and then help you develop strategies to warn and protect your loved ones. Once you have been thoroughly trained, you can also use your knowledge as a means to open the door of discussion with an unsaved person. I have been able to use it many times, and have seen people come to Jesus Christ as a result. These perilous times are also a time when we can reach many souls for Jesus Christ, making an eternal difference.